“No More Heroes” is finally out at Createspace! This one has been years in the making. I held on to the hope that this one would come out, sooner or later, even though the original publisher let it languish for quite a time, then promised to release it, but let the contracts lapse. Then one of the editors, Wayne Goodchild, did his absolute best to find this book a new home. But it was a rather unique concept, one which bound all the authors together under the same umbrella, but also meant that a new publisher had to buy into the concept of a whole new realm of superheroes and villains being created. Yep, this alternate universe has an entirely new set of good guys and bad guys, and a very intriguing concept behind it. A cataclysmic event causes most of the superheroes on the planet to get evaporated, allowing the villains to take over…but a new group of superheroes have revealed themselves, ready to provide the resistance the world needs to save itself. Fortunately, Matt Nord, who had a personal investment in this project, wanted this book to be released as badly as Wayne did, and thus, like a Phoenix, it has risen from the ashes. 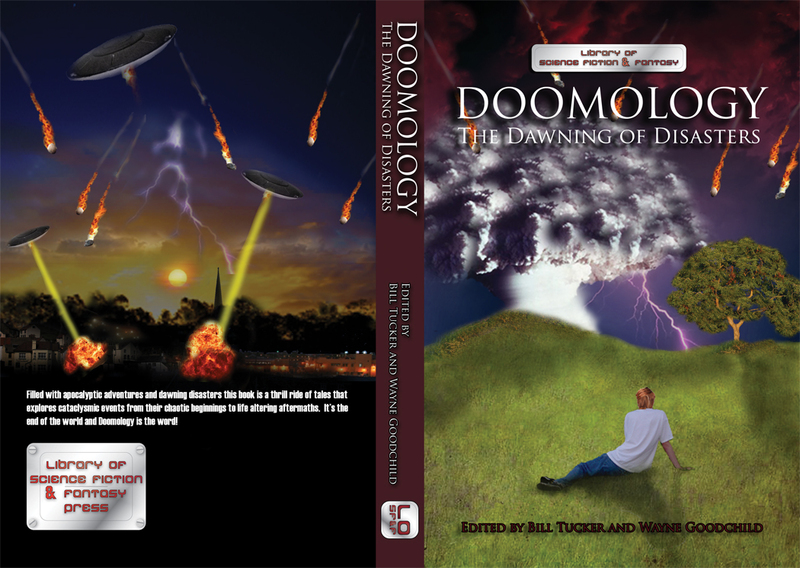 Now all we can ask is that you check it out…on createspace, and when it becomes available on Amazon and elsewhere. The editors crafted a back story that was tremendous and should be included within the book. Dozens and dozens of evil villains and superheroes, ready for their stories to be told. My tale provides the origin of a angst ridden teen known as “Slow Goth” and his superhero mentor, “St. North”. Naturally, the story is called “Slow Goth and St. North”. I was pretty thrilled when my tale was accepted into the book, and fought along with Wayne and Matt to see this project to completion. The original vision was to not only see this project to its conclusion, but to hold out hope that it would be successful enough that we could craft more tales in future volumes…giving this world a real complexity, with as many of the bad guys and good guys used and involved in an ongoing saga. It remains to be seen whether or not that will happen, but for now, I hope you have the chance to check out No More Heroes! Just click on the cover to get sent over to Createspace. On November 20th, 2009, a catastrophic event dubbed The Cataclysm wiped the world’s greatest heroes and villains off the face of the planet and created a death toll stretching into the millions. The Traveling Tyrant tells the tale of what amounts to corporate espionage disguised as dark science fiction comedy. Or is it a science fiction tale disguised as a corporate thriller? Not quite sure, since it handles the influence of more than one genre with relative ease. The basic overview of this tale is that a representative of Galactic Hotels has presented to the board of directors the discovery of a pristine, paradise world relatively untouched by human hands, named, conveniently enough, Paradisa. It will make the perfect vacation hot spot for the ultra-wealthy, except for one minor, niggling detail: a group of religious zealots claimed the world as their own years before. So, to cleanse the place of these annoying pests, the Traveling Tyrant is called in to do what he and his fleet of mercenaries do best, which is to make niggling details disappear. The only problem is that there is trouble afoot, with more than one member of the Tyrant’s command staff attempting to work their way into the Tyrant’s position of power through a variety of twisted machinations. So with religious zealots below and the danger of mutiny in the fleet above, you can rest assured that everyone involved is in for a bumpy ride and a mission that more than likely isn’t going to go all that smoothly. This is definitely a dark comedy at its heartless best. Death and deception go hand and hand here, with virtually every character having more than one agenda, though their desires and goals for advancement and power seem to be quite clear, even if their routes to achieving those goals are often cloudy. This story could easily pave the way for a series of books about the Tyrant and his fleet, plus a client base that has a tendency to be fairly amoral in their desire for conquest and dominance. The writing is solid and the wit sharp, with plenty of deception to entertain and amuse those of us who like a little hemlock with our wine every now and then. While the Tyrant is not a likable fellow, with his lecherous ways and Napoleonic complex, he is only one member of a cast of equally twisted characters, each with their own twisted perspectives and peccadilloes that enhance the story and keep you guessing as to what might happen next and who might deceive who. For some, the darkness of this tale might be a bit much, given that it is fairly relentless, with no apologies offered for the vicious, almost offhand casual way lives are destroyed, but that is also a part of the story’s devious allure. For those who can handle such diabolical tactics in the stories they read, this one should be quite an entertaining addition to their collection. 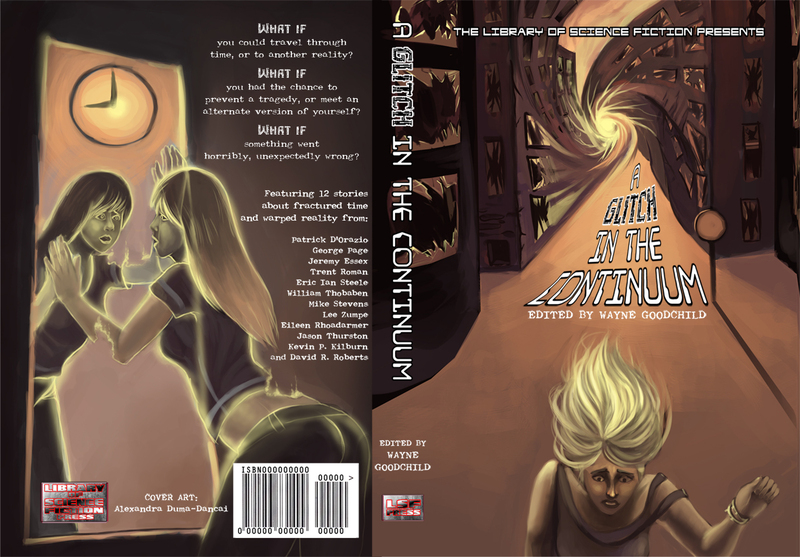 Cover of “A Glitch In The Continuum”, a new time travel anthology coming out soon! I am pretty excited about this one. I wrote a time travel story a while back entitled “Intervention”, which Wayne Goodchild was gracious enough to accept into his time travel anthology. But this isn’t just stories about time travel, but stories about when time travel goes wonky and things get screwed up, both now and then, or is that then and now? I’m not quite sure, but it was certainly fun thinking up the consequences behind manipulating the time streams. I was pretty proud of my little story and was thrilled to find out that it would appear in the book, and first in the table of contents no less. The cover has just been revealed and the book should probably be released later this summer. It is a bit of a departure from my traditional horror story M.O., I know, but I was excited to stretch myself a bit with a twisty little tale of the present and future colliding. Without further ado, here is the wrap around cover! More details to follow. I hope plenty of you will be interested in checking this one out.